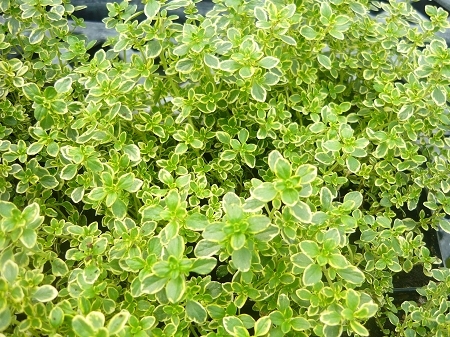 Golden Lemon Thyme (thymus x citriodora 'aureus')- Attractive thyme variety features yellow edges on green leaves. May turn all green during hot summer months. Same scent and flavor as regular lemon thyme for culinary or tea use. Excellent in containers and for visual contrast in the herb garden. Perennial zones 5-9. Live plant in 3 inch container.